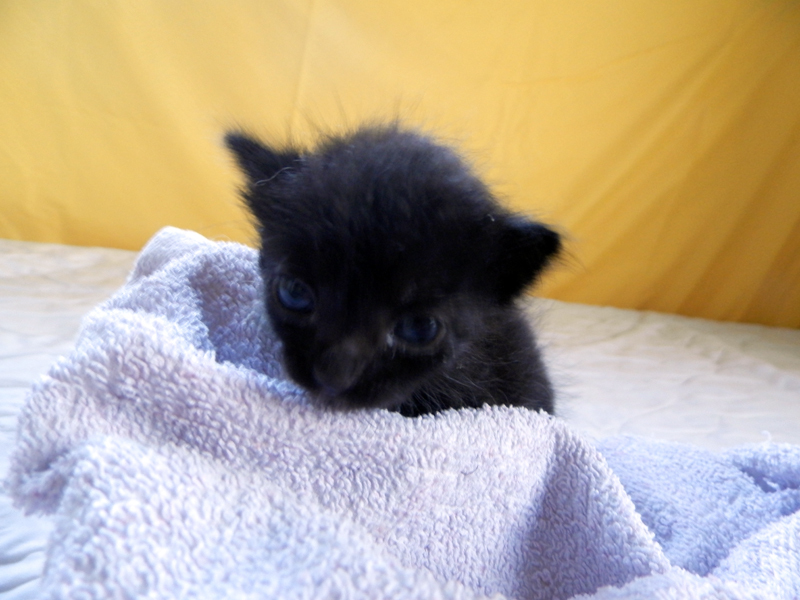 This sweet baby was only two weeks old when she was discovered in a trash bin by an animal-loving family who knows the work we do. 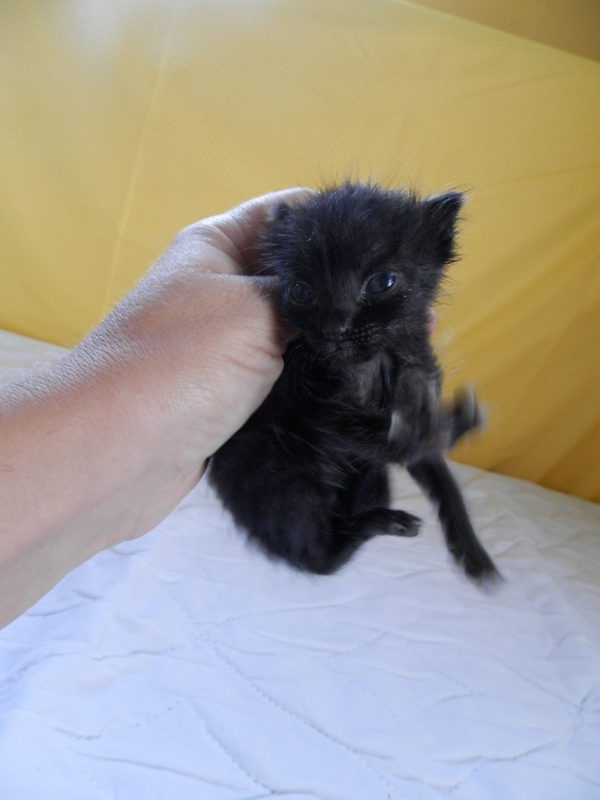 They brought the kitten to us in such dire condition that we were not certain we could save her. Her small body was so malnourished that she was too weak to take milk from a bottle, which meant that we would need to feed her by hand, drop by drop, until she began to gain strength. Now, her appetite has returned, and this small fighter is gaining strength day by day. When she is strong enough to eat on her own she will be adopted by the family that first found her for they have grown to love her as they watch her struggle for life.